At Sunpower® by New York State Solar Farm, our mission is to provide high-efficiency solar panels and environmentally responsible energy solutions to homes and businesses. We are an Authorized Dealer of Sunpower® products and are leaders in designing and integrating solar electric systems in New York. 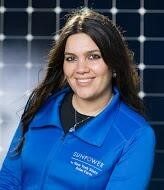 SunPower® by New York State Solar Farm has experienced rapid growth from its start in 2007 as a small, local PV solar system installer. The family-owned, Gardiner-based company was recognized in October, 2015, as a SunPower® Master Dealer. This elite designation is awarded to very select companies in the United States based on excellent customer service, quality system installation and the number of kilowatts of solar installed. 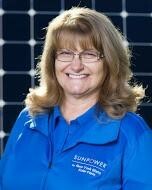 There are less than 25 Master Dealers out of almost 500 SunPower® resellers in the nation. SunPower® by NYSSF has installed over 1,200 systems in the Hudson Valley region and has sought to find a means for customers of varied financial strata to switch to affordable, clean solar energy. Our showroom and sales center is in Modena, N.Y., located in a renovated historic building whose history parallels the evolution of energy technology. 100 years ago, the building was a farrier/blacksmith shop. In the 1950s, the building was a gas station, and today it is a net-zero solar-powered illustration of energy independence. We hope that you will drop by to visit us! Dedication to Quality. 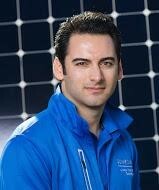 Passion for Sustainable Energy. Our goal is simple: to deliver high-quality products while operating with the fullest integrity and honesty. We work with fully trained and licensed staff, managed by veteran onsite supervisors with extensive experience. Our team includes licensed electrical contractors and NABCEP certified professionals who share the same dedication and passion for clean and sustainable energy. The use of internal staff makes it easier to control quality and ensure expert installation and performance of our products. From safety to quality, we provide our clients with the highest-performing solar electric systems to power their everyday needs. If you are interested in our systems, contact us at (845) 255-0610 for a free estimate. Options to own, lease, or finance.